Halloween is almost here! Are you ready for it? Do you already have all your activities and games prepared? 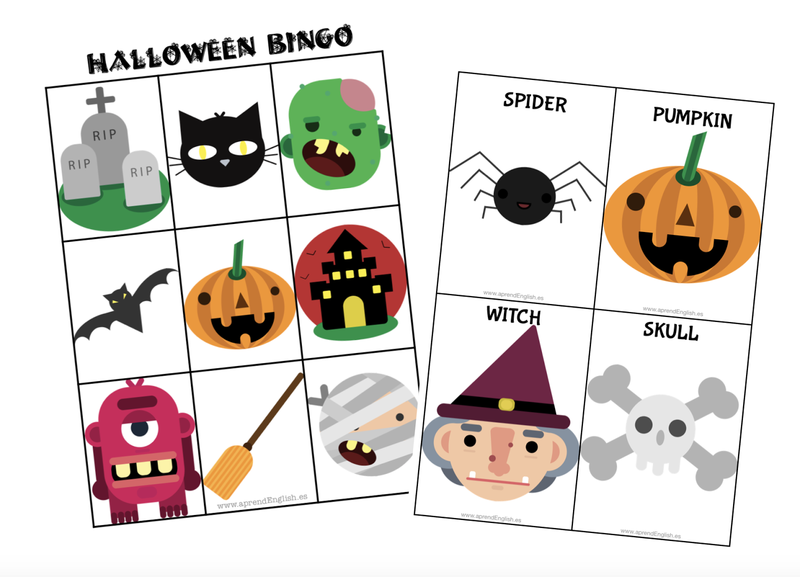 For all of you that are still looking for activities, here you have a halloween bingo and flashcards to go with it or to use as a memory. The images have being designed by my sister (Thanks Sara!) so if you are going to use them or share them I'd appreciate you tag me. Click HERE to download the bingo boards. Click HERE to download the flashcards with names.